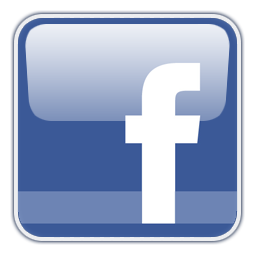 20,000 Copies Paid For — 15,000 to Go! Donate by August 20th and Receive Yours in the Mail, Too! 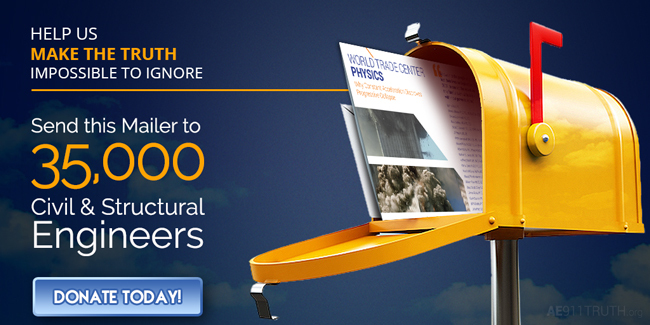 Thanks to the incredible dedication of many hundreds of activists, we’ve already raised $20,000 in one week to send our new World Trade Center Physics mailer to a mind-boggling 20,000 civil and structural engineers this September. If you haven’t done so yet, help us raise the final $15,000 by chipping in what you can today. Our incredibly cost-effective plan allows you to reach one engineer with every dollar you give. 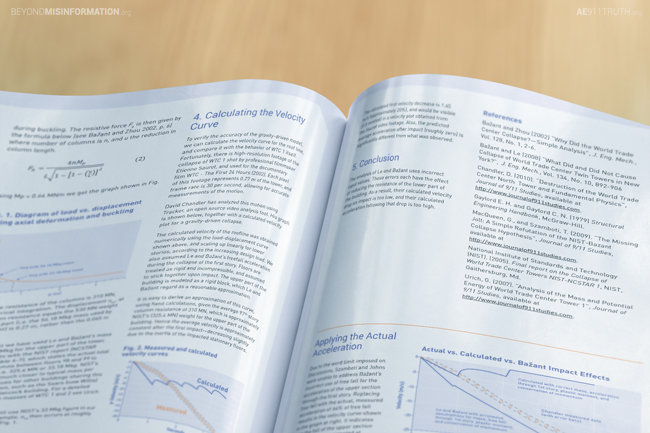 Plus, when you make a donation of $25 or more ($30 for non-U.S. residents), you’ll receive your own souvenir copy of World Trade Center Physics in the mail! Together, we’ll educate an astounding 35,000 engineers across the U.S. and rally thousands of them — many of whom already know the truth but don’t know us — to our cause. We think of World Trade Center Physics as a work of both art and science. 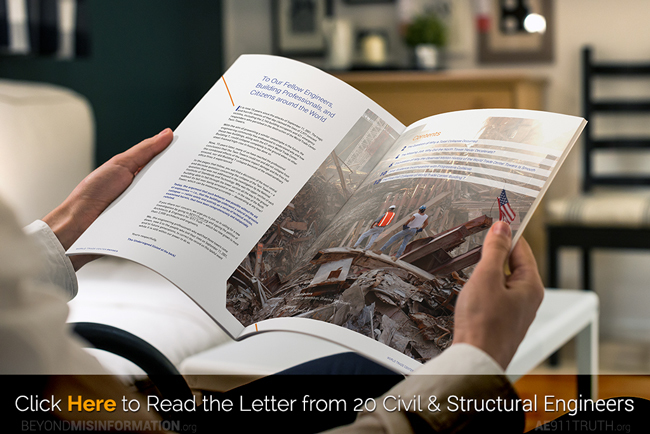 It starts off by commemorating the 15th anniversary of 9/11 with a spirited letter from 20 civil and structural engineers (the letter is pictured above). It then goes on to provide decisive proof that the tops of the Twin Towers could not and did not crush through the floors below them. We illustrate this first by showing NIST’s failure to provide an explanation of the Twin Towers’ total collapse and then by debunking the articles of civil engineering professor Zdeněk Bažant, upon whose analysis the official story depends solely and entirely. The nail in the coffin of Bažant’s thesis is a response — written by Tony Szamboti and Richard Johns — to Bažant’s most recent article, in which he attempted to justify why the upper section of the North Tower never observably decelerated as it fell through the floors below it. Szamboti and Johns’ paper was inexplicably rejected by the ASCE’s Journal of Engineering Mechanics — but it is presented in World Trade Center Physics (pictured above) for all in the engineering community to behold. Thank you for supporting our biggest-ever and most important outreach to the civil engineering profession. There couldn’t be a more significant time to do it than the 15th anniversary of 9/11. 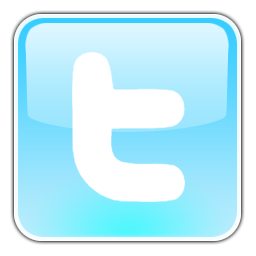 Our Blueprint & Newsletter archive for 2014/15 can be found online on our main site.